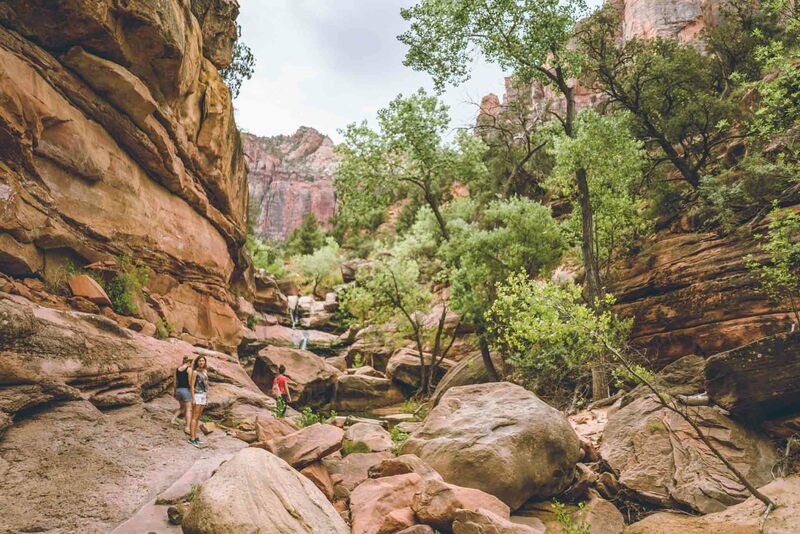 Lava Flow Overlook Trail – also known as Lava Tubes – is a family friendly trail that takes you down past three lava tube/cave entrances in the heart of Snow Canyon State Park. The original trail has been recently modified and begins from the newly installed parking lot. 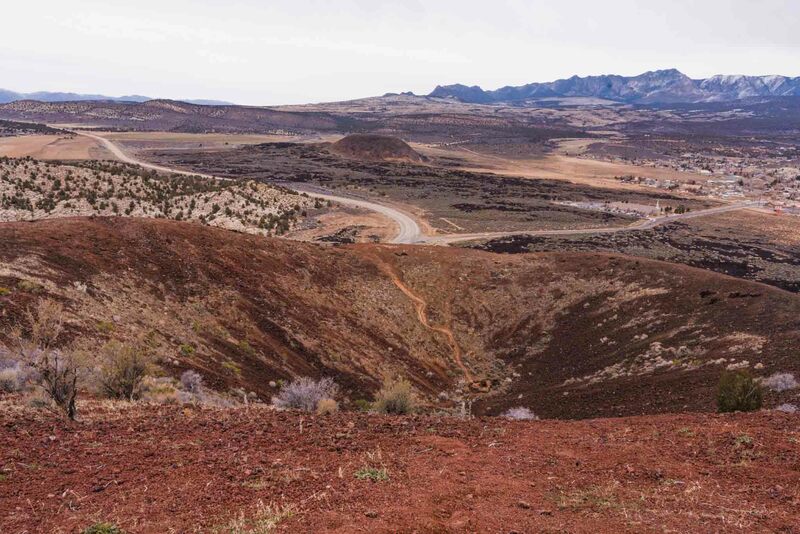 The trail meanders through a lava field that is beautifully decorated with typical low land plants. The whole park is open to your view as you travel along this well traveled single track. There are signs along the trail with little explanations about the lava tubes and the plants and animals. This trail is not only fun, but educational as well! The lava tubes are an adventure to explore, so be sure to carry a flash light. Down past the last lava tube entrance, the overlook is a great reward for this trip! Directions to Trailhead. From St George, head north on Bluff Street for 10 miles. You will see signs indicating Snow Canyon State Park. Turn left onto Snow Canyon Drive. Pay the entrance fee and travel approx 1/2 mile and the parking lot will be on your right. Plants: Typical plant life for Southern Utah lowland hiking. Animals: Typical animal life for Southern Utah lowland hiking. HikeStGeorge is a project that began as a seedling for Tim LeBaron in the early part of 2008, but really didn’t begin to blossom until the latter part of 2011. The original idea behind the site was to bring to light all of the harder to find, or “less known” hidden gems of the area. It was more of a pet project than anything. 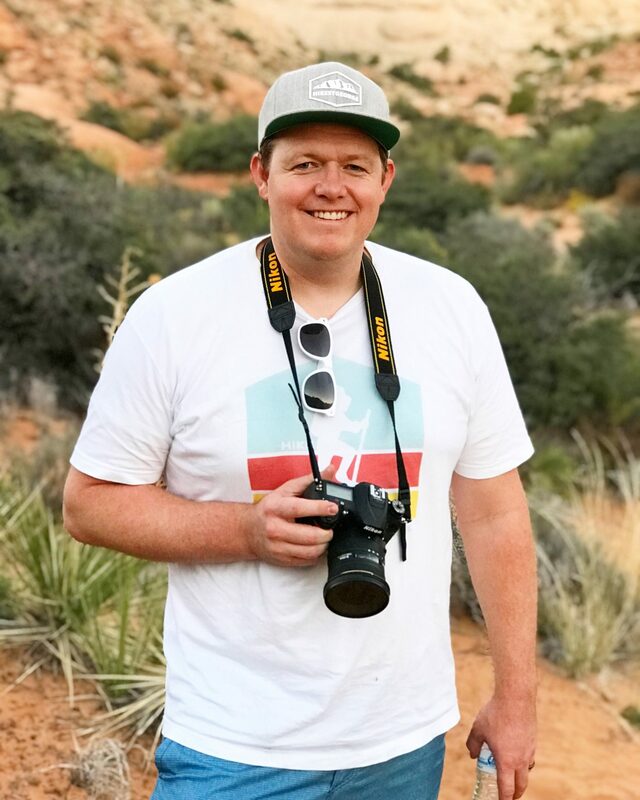 As excitement about the site began to spread, there was more of a push to develop information about all hikes in the Southern Utah Region. HAVE YOU HIKED THIS TRAIL? TELL US ABOUT IT!